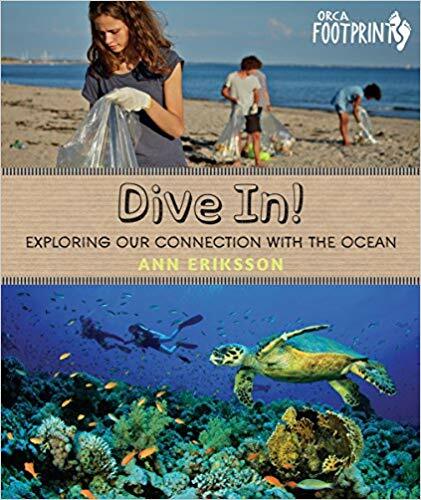 The key message of a new book for the 9-12-year-olds, Dive in!, by the BC-based author, Ann Eriksson, is that everything is connected and our lives are intrinsically linked to the ocean environment. The ocean provides half the oxygen we breathe; it feeds us, creates our weather and provides us with drinking water. But as is evident through the images that we now see and the stories that we hear on a daily basis, soups of plastic debris, overfishing, rising sea levels and pollution are creating big trouble for our oceans and its inhabitants, and for us. However, there is so much that kids of all ages can do to help keep the ocean healthy. 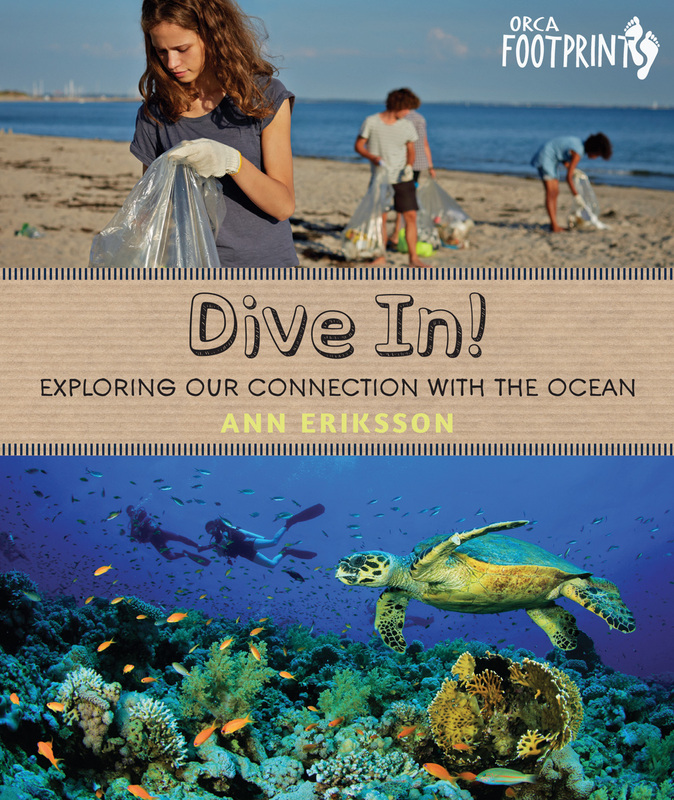 This is an upbeat, thought-provoking book that not only educates young readers about ocean ecology and the problems our oceans are facing, it also encourages and inspires kids to consider their own role in ocean conservation. Ann Eriksson is a biologist and writer from Thetis Island, British Columbia. Ann is an environmentalist and founding director of the Thetis Island Nature Conservancy. She has written five novels that focus on environmental and social issues. Dive In! Exploring Our Connection with the Ocean is her first book for children and it’s published by Orca Book Publisher which is based in Victoria. Orca Book Publishers has given us one copy of this great book to give out to a lucky winner of our book draw. Please send your answer to this question to info@naturekidsbc.ca by December 31: What are four of the most common types of ocean garbage? We will draw one name among those that enter this book draw contest. No Replies to "Book review and draw: Dive in! Exploring our connection with the ocean"